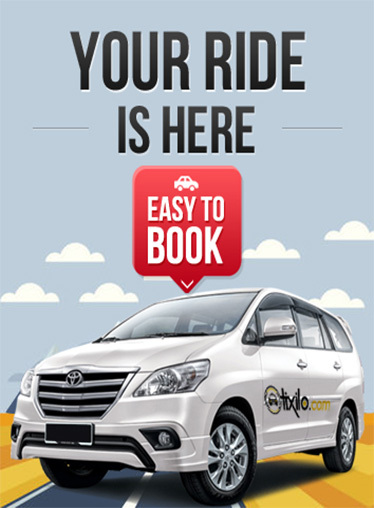 Tixilo Taxi aims to provide economic and affordable One Way service for Jodhpur to Jaisalmer Cab, which includes the one time pick up from anywhere in jodhpur and one time drop to Jaisalmer. We provide Best one way cabs, which are safe, reliable and affordable and can be booked hassle free. We give wide variety of vehicle choice to customers for booking the taxi in Jodhpur Like Hatchback, Sedan and SUV category and also give the option to book online taxi in jodhpur. One Way Taxi from Jodhpur to Jaisalmer is the most affordable taxi and cheap taxi for families who would like to travel one way only from Jodhpur to Jaisalmer. Tixilo taxi enables hassle free pick-ups and drops,which is trustworthy and the most reliable cab in jodhpur. We have a dedicated team to take care of hotel bookings and airport drops. We are a reliable tour operator in jodhpur and also economic tour operator in jodhpur So what are you waiting for? Enjoy the benefits of online taxi right now! Book cab in a jiffy and save money the smart way. Tixilo provide Jodhpur to Jaisalmer Cab service / car rental enables customers to save upto 50% on their one side cab trips. Jodhpur to Jaisalmer taxi rates we divide in three vehicle category wise cab fare (Hatchback, Sedan and SUV), which you can easily book in three step. We also have round trip vehicles and we assist in multi-city tours for Indian Nationals as well as foreign tourists. This best to travel Jaisalmer to Jodhpur by car, So in route you can visit Jaisalmer War Museum, Khichan Village, Ramdevra, Osian and more place to spot out and take few selfies by your phone or camera. You can also car hire from Jodhpur airport to Jaisalmer just before 4 hour before arrival but we suggest you to book minimum one day advance. By Jaisalalmer to Jodhpur by car is best option as there you find Train, Flight and Luxury bus also.